Leaked chat suggests Microsoft branded phones are coming soon! Microsoft branded smartphones coming soon? As per unconfirmed reports coming in, Microsoft will soon launching their own branded smartphones, powered by Android. If the reports are true, then Microsoft has certainly killed their Windows OS for mobile now, and replying in Android. And, the chat details also suggests that the new ‘line of smartphones’ aren’t Lumia series. It shall be something new, all together! Microsoft’s New Line Of Smartphones: Coming Soon? When a blogger from WindowsLatest blog contacted a Microsoft Sales Rep via chat, some interesting details tumbled out. Note here, that Microsoft hasn’t yet confirmed the details, and the chat doesn’t showcase that representative’s name as well. It is not known whether the chat happened with an authorized representative or not. As per the chat, when the blogger asked the representative about Lumia handsets, the rep replied that their engineers are now working on a new smartphone model. On further probe, the rep admitted that the ‘new line of smartphones’ would be Microsoft branded, and won’t be Lumia or Surface branded. Besides, the OS which would be powering these new line of smartphones is Android, and not Windows OS. These details are shared as per the screenshot from the chat, as shared by the blogger. The history is no doubt a bit complex, and full of interesting ups and downs. In 2010, Windows Phone 7 was launched by Microsoft, which was the first mobile OS developed by them. It underwent several changes and additions: Windows 7.5 was launched during 2011 Mobile Congress, and was code named Mango; then Windows Phone 7.8, and then Windows 8 and finally Windows 10 for mobile, for all smartphones and tablets with screen size smaller than 8 inches. 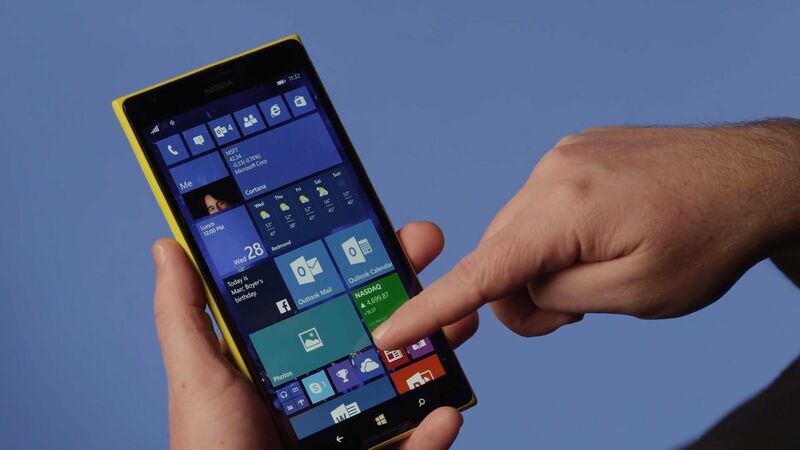 In partnership with Nokia, Microsoft offered the Windows OS (and different versions of it) via Lumia handsets. When they broke off the Nokia partnership and write off the investments, then analysts predicted the end of Microsoft’s mobile journey. In 2014, they even decided to stop using Android, and solely focus on their core strength: operating system for desktop and laptops. However, this year in February, Microsoft again started selling their Lumia branded handsets in some store, and this gave rise to speculations that Microsoft is maybe reentering the business of mobile. And now, these chat details further gives rise to these speculations. "Microsoft Releasing Their Own Branded Smartphones? Leaked Chat Details Suggests So! ", 5 out of 5 based on 1 ratings.